Am I the only one to see the annual performance review as a great opportunity and not the drag that we often associate it with? You’re probably thinking I’m saying that because my reviews have always been good, that I always received lots of positive feedback. Well, no: missed targets, leadership behaviour that could be developed, blind spots, you name it I’ve probably had it. But don’t fear I’ve had plenty of exceeded targets and being recognised for my management skills – I thank you very much…. I’ll tell you my worst annual review nightmare: “On the whole everything is fine”, Fine? What’s fine? “on the whole”? Do you mind breaking it down a little? You’re rolling your eyes? I should be glad there is no big issue being pointed out? I hear you but tell me what to do with “On the whole everything is fine” if I have a level of consciousness slightly higher than that of my front door and I’m keen to develop myself and my career? NOTHING! That’s the kind of annual review run by a seriously lazy manager or one scarily challenged in the leadership department. But hey, if you accept it why should he/she changed and put in the work to give you a proper annual performance review. You’re serious about developing yourself and achieving a rewarding career? It’s all down to YOU. 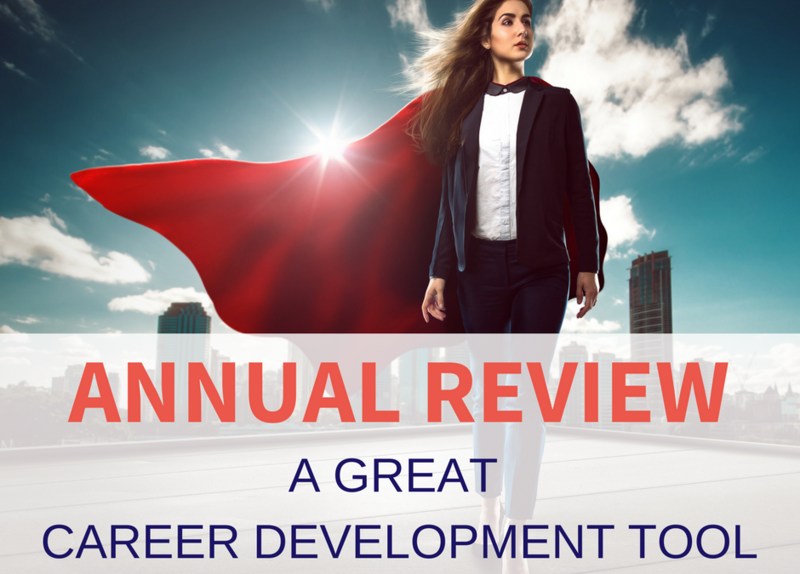 You decide that your annual review is an opportunity and a great tool to develop your career… or not. The first consequence of this shift is to refuse the “slap on the back, let’s do it over a pint at lunchtime” annual review. Come on, a whole year of hard work? I’m worth more than that! Feedback? I want facts, not “I think that..” or “she said…”. Give me dates and a clear description. I’m not just talking about so-called negative feedback, if it’s good I need the details too so I can fully integrate it and reproduce it. Preparation? I’m not just filling a form so don’t call the meeting in 20 mins – and I think dear Manager you will need more time too. I am taking the time to gather the information and feedback and to reflect on it so I can get all the learnings from this year. Next steps? My review is full of learnings to build on my strengths and on how to develop so I want to build a great development plan with you with clear timelines and actions. These are just examples, by changing how you view your annual review and becoming more demanding of the process (and the people running it) you’ll get an annual review that IS a great tool to develop your career and help you achieve the satisfaction and success you desire. and remember, it’s all down to YOU!